Wainwright was second in command to Douglas MacArthur in the Philippines at the outbreak of World War II. 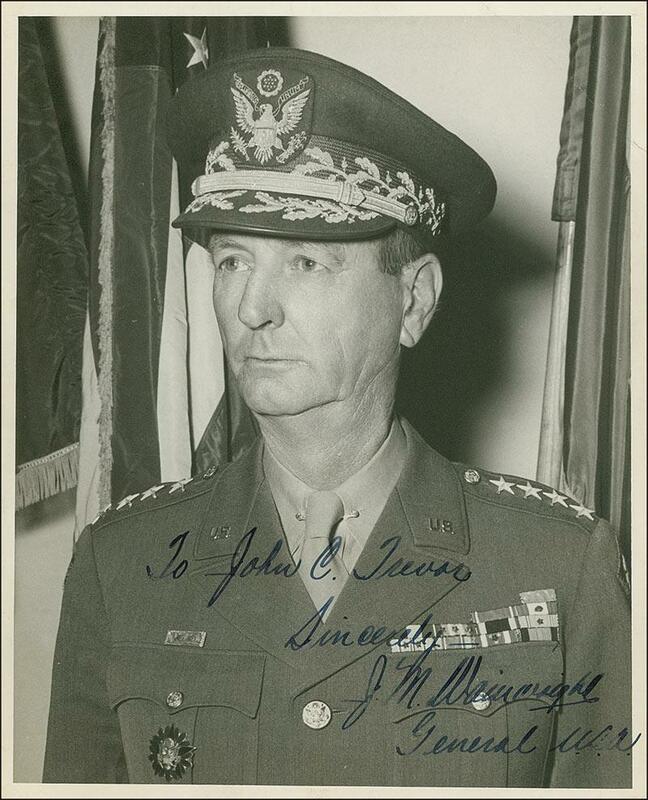 After MacArthur was ordered to evacuate, Wainwright was in command of the desperate defense of the island against overwhelming Japanese invasion forces. He held out as long as possible, making the invasion far more costly than the Japanese had anticipated, but finally surrendered on May 6, 1942. He and his command were held as prisoners of war under the cruelest of conditions until 1945. Wainwright received the Medal of Honor.